Biogas-the orphan of the renewable energy mix? The widespread adoption of biogas as a reliable alternative energy source seems like a nobrainer. Capturing energy rich methane produced from decaying materials is a proven technology yet its adoption as part of the renewable energy mix appears to have been overshadowed by wind and solar. Researchers at the ARC-AE are going to great lengths to develop and promote crop cultivation and healthy soil properties using digestate. Any anaerobic digestion creates an end product called ‘digestate’, which will typically constitute 90-95% of the unconverted feedstock material. The anaerobic digestate makes an excellent renewable (green) fertiliser, with better characteristics than organic compost. Integrated field experiments were recently conducted at various sites to ascertain digestate’s effects in comparison with chemical fertiliser on agricultural crops’ yield and profitability. Crop yields were higher for plants grown with digestate compared to other fertiliser treatments. In addition, our analysis showed that the highest gross return was obtained from crops treated with biofertilisers. However, application of synthetic fertiliser in combination with biofertiliser can potentially increase crop yields and the subsequent economic return. 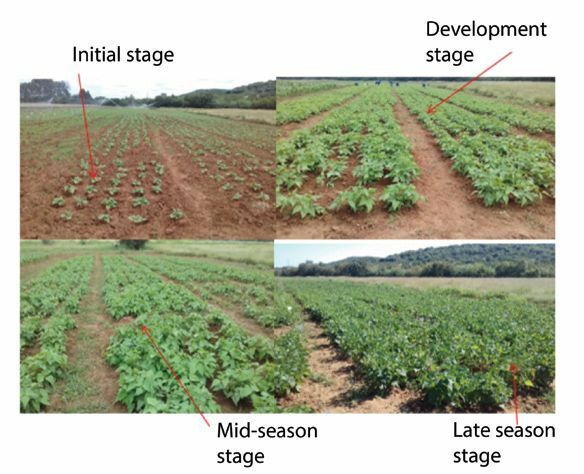 Different growth stages of beans with digestate application. What is the IRP 2018? Ibert have a solution for small scale farmer. OUTA welcomes the decision to withdraw the proposed rules to govern the registration of Small-Scale Embedded Generation (SSEG) below 1 megawatt.